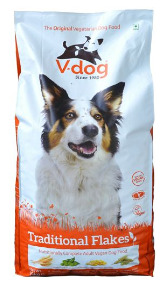 V-dog Traditional Flake is the original complete, balanced and 100% VEGAN maintenance food for adult dogs. This is a muesli style blend of flaked cereals, peas and plant proteins fortified with vitamins and minerals, which should be soaked before serving. Includes both Taurine and L-Carnitine supplements which help maintain a healthy heart. Approved by the Vegetarian Society, Vegan Society and PETA. Crude Protein 20.0%, Fat Content 6.0%, Crude Fibre 3.0%, Inorganic Matter 6.0%, Calcium 0.9%, Phosphorus 0.6%. Colourants: red oxide. Antioxidants. Preservatives. Nutritional Additives / Kg: Vitamin A 11,700i.u., Calcitriol Glycoside 1,170i.u., Vitamin E 56mg, Vitamin B1 1.8mg, Vitamin B2 3.7mg, Vitamin B6 1.8mg, Vitamin B12 18.5mcg, B3 Niacin 18.5mg, B5 Pantothenic acid 14mg, Folic acid 1mg. Trace elements: Calcium Iodate Anhydrous 1.44mg (Iodine 0.88mg), Sodium Selenite 3.1mg (Selenium 0.14mg), Cupric Sulphate Pentahydrate 54mg (Copper 13.5mg), Ferrous Sulphate Monohydrate 150mg (Iron 45mg), Manganous Oxide 130mg (Manganese 81mg), Zinc Oxide 257mg (Zinc 185mg). Taurine 130mg, L-Carnitine 67mg. Shelf Life: 12 Months from manufacture. Certification: UK Vegetarian Society Approved, Vegan Society Approved, PETA approved brand. 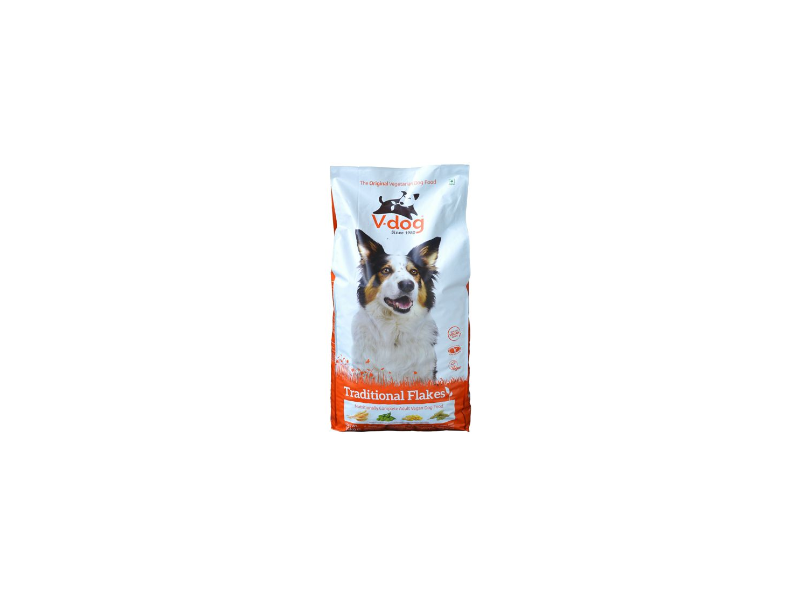 There are currently no questions for Vegeco V-dog Vegetarian Traditional Flake Dog Food - be the first to ask one!